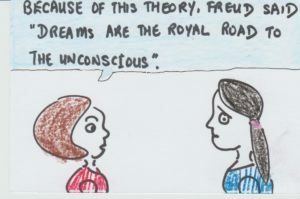 Dreams are the royal road to one’s unconscious. Dreams reveal what your unconscious concerns are. Your issues during your waking hours, remain in your unconscious. So when you dream, you’re getting a look into what has been bothering you.